Almost as soon as we got home from our Alaskan adventure we were off again, this time for a weekend wedding in Chicago. The festivities were taking place in the leafy suburb of Oak Park, and we enjoyed wandering around on Saturday morning before it all got going. 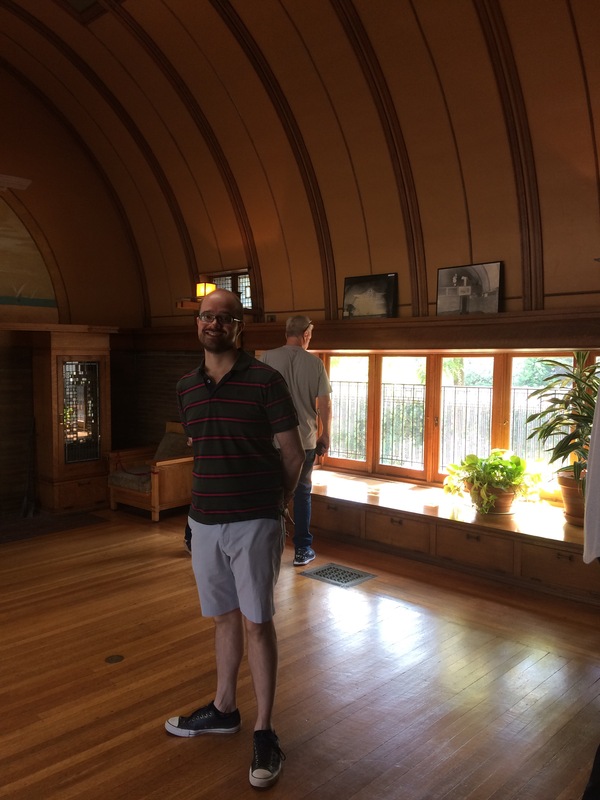 Our hotel was just a couple of blocks away from the Frank Lloyd Wright home and studio, and fortunately I’d thought to check their website in advance because the only way to see the property is on a guided tour, and of course they book up quickly on beautiful sunny weekends. Our guide was very informative, and we found the house cosy and interesting. 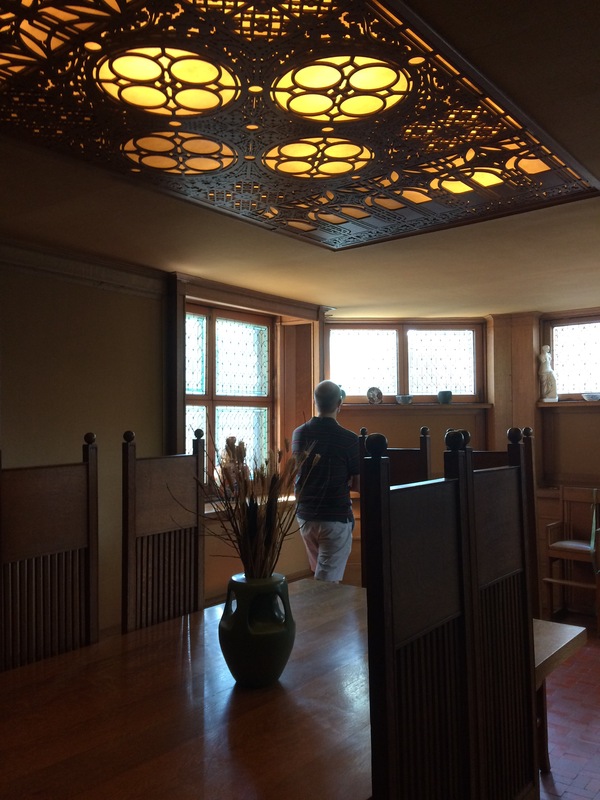 It was the first home of FLW, his first wife Kitty (also an architect, although I’m not sure whether any of her stylistic preferences were incorporated into the design), and (eventually) their six children, which he designed and built on a plot of land acquired early in his career. After the family moved out the property was sold and split up into apartments, before being acquired by the FLW trust and restored to something close to its original appearance. It seemed very small for a family of eight, although there was a lovely large playroom on the upper floor. Despite some beautiful windows the ground floor rooms seemed very dark and low-ceilinged, although the high barnlike ceilings upstairs made the bedrooms and playroom feel much more spacious. 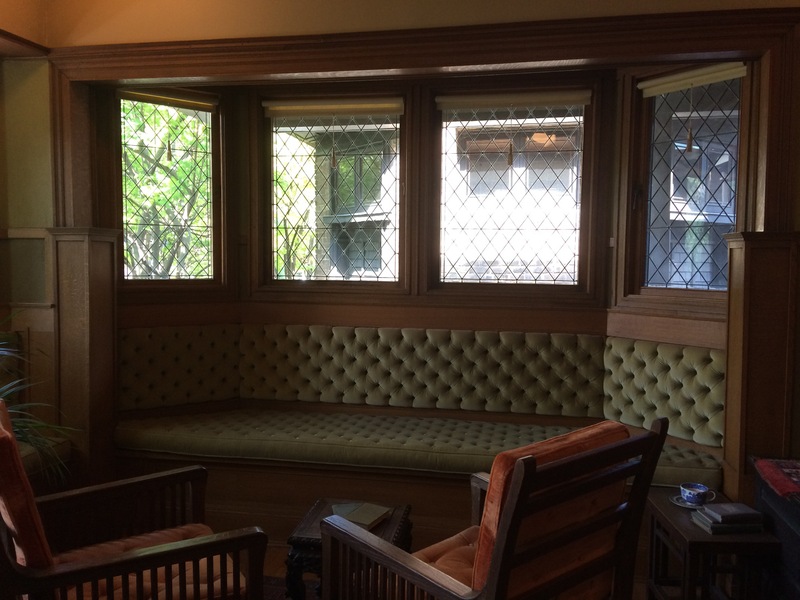 Separate-but-attached to the house was FLW’s studio, office and library space – essentially two octagonal rooms joined by a short corridor. Designed as a functional workspace as well as to impress potential clients, this part of the building had a somewhat different feel, but a similar balance of clean geometric lines and stylish decorative elements. I was particularly taken by the stained glass skylight in the entrance. 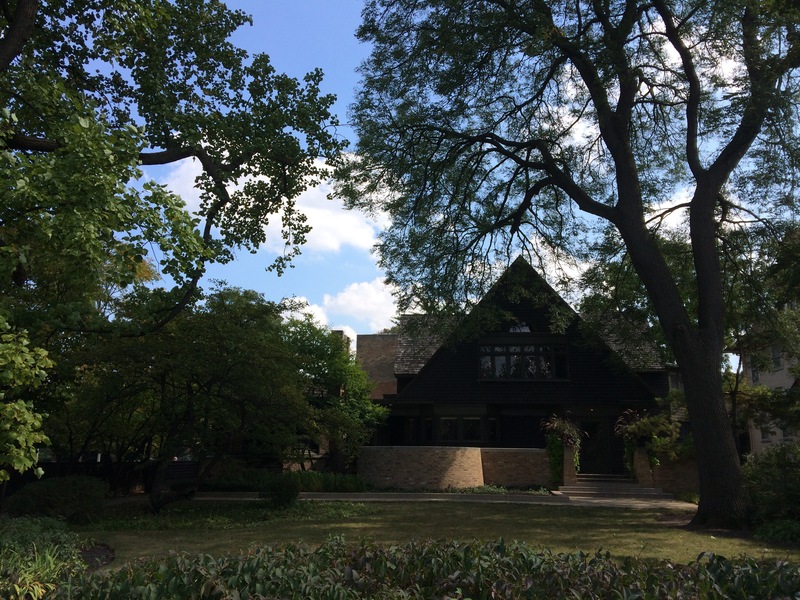 This entry was posted in Museums/galleries and tagged Chigago, Frank Lloyd Wright, Oak Park by Emma Davidson. Bookmark the permalink.